Caviar & Cashmere, a new skincare line by Caitlyn Chase. Credit: PRNewsfoto/ Caviar & Cashmere. 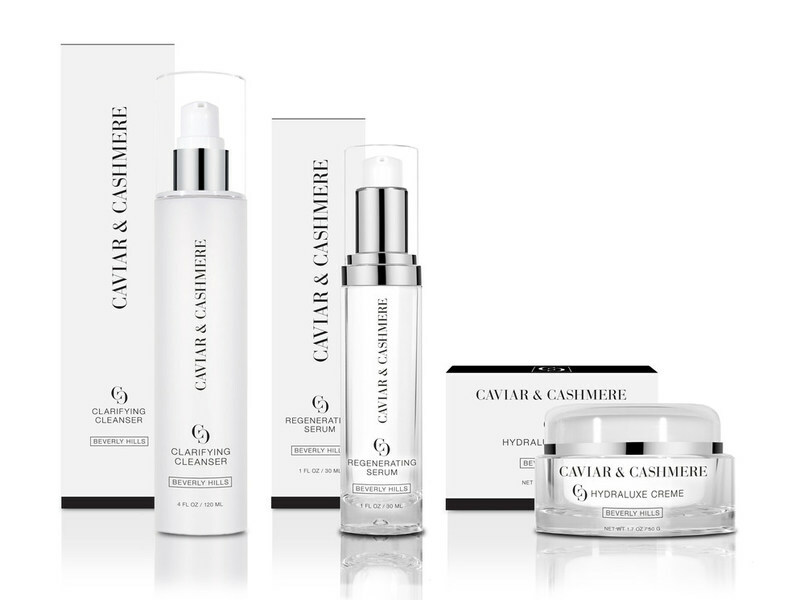 Caitlyn Chase has launched its new skincare line Caviar & Cashmere which is available online and at select retail locations across the US. The new line comprises a clarifying cleanser, a regenerating serum and a moisturiser and all the products are free of fragrance, parabens, sulfates and phthalates. The vegan and non-toxic Caviar & Cashmere products are manufactured in Los Angeles. Caitlyn Chase said in a statement: “Having worked in and around the beauty industry for more than ten years and having spent a lot of time with makeup artists, I was surprised to find there are not as many truly effective, clinical-grade skincare products on retail shelves as one might think. Caviar & Cashmere Clarifying Cleanser, which is available for a suggested retail price of $48, is suitable for dry, normal, oily or combination skin prone to breakouts. It clarifies and softens skin while cleansing and lifting surface debris. Another product in the Caviar & Cashmere line is Caviar & Cashmere Regenerating Serum that neutralises damaging free radicals and offers advanced environmental protection. It also neutralises free radicals on the upper layer of skin to help prevent the impact of ozone damage and is suitable for dry, normal, oily or combination skin. Caviar & Cashmere HydraLuxe Creme restores and maintains hydration and moisture and leaves skin feeling supple and smooth. Additionally, it helps reduce the appearance of pore size and protects skin from environmental damage. DJA is a production technology company with an international supplier network to enable the global purchase, sale and service of a wide range of manufacturing equipment and facilities. AntalGenics discovers and develops new bioactive molecules for cosmetics applications.